I love when it’s light outside in the morning AND after work. 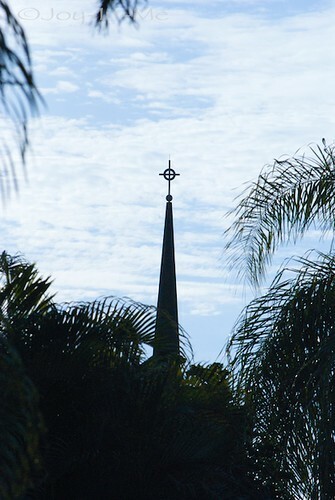 This is a picture of the steeple of our church. With those green branches that never see seasons. Oh, what they are missing out on.